All this Michael Jackson coverage has "Human Nature" rattling around in my head. This goofy song I have not thought about in years. Or heard, I might add. If Jackson was so huge, how come we have not heard this stuff for years? It was not in radio rotation so far as I knew. That is, when I walked into restaurants and stores and whatever, I was barraged with all kinds of other stuff, but not this. I have also not heard "Beat It" for years. Or "Billie Jean." Which makes me think: They will not be listening to these songs in 100 years. Sorry. However, I sympathize with Jackson in one respect. That is the insomniac business. I was reading just now about how he was an insomniac and wanted this drug, this sedative. It sounded like a terrible sedative. The story gave me the impression that if you took this drug, you might not wake up. You had to have a nurse in the room with you to wake you in eight hours. It is like "Romeo and Juliet"! The worst I have ever taken is Ambien which, I still have a bottle around somewhere. That is a souvenir of my year or so as a serious insomniac. I was the worst! I got into this groove where I just did not sleep three days out of the week. Then sometimes I could not sleep for two or three nights in a row. Incredible! I used to talk about that with Leonard Pennario because he had sleep problems too. But then I went to the sleep doctor and he straightened me out without drugs and all I can think is that would have worked for Michael Jackson too. It is pretty simple. They do not let you go to bed before midnight and for five nights you have to get up at 5 a.m., then five nights at 5:15 a.m., and so on, until you are sleeping like a normal human being. You are so tired you have no choice but to sleep! So you turn your pattern around and now I am a good sleeper. I do not know why more people do not undergo that therapy. I hear it referred to as "last-resort." Last resort? It should be first resort! Drugs should be last resort. Those sleeping pills, they beat you up bad. What I am getting at is, I feel a little of Michael Jackson's pain. I remember what that is like, when you cannot sleep and you are all exhausted and frightened and panicked. You start to think you are losing your mind. Here is a picture of me as an insomniac, a couple of years ago. I believe that is where Michael Jackson was at, as we like to say here in Buffalo. It is not fun, not sleeping. Here is one thing funny. You are always hearing songs and poetry with the gist of "I've been up all night, and I'm waiting for the dawn, the new day brings hope." When you are sleeping you do not want to see that dawn. That new day does not bring hope, I will tell you that right now. Whoever writes songs and poetry like that has not ever been up all night. The drug he wanted, and had had before is an IV General Anesthetic use mostly to sedate ventilated patients in ICU. It is quite dreamy and is abused by those who can get it. We do not get the straight scoop here in the USA news. Try going to dailymail.co.uk for the real stuff. Yesterday they had an article about Jackson insisting having a doctor on the payroll which even lived with him. A drug addict's paradise. He was also spending like $60,000 / month on prescription drugs, many written for his staff (opioids, benzodiazepines, antidepressants etc.). Drug addiction causes insomnia. When it takes general anesthesia to cure it... maybe it is time to move on. The Dailymail also went deep into his thing with kids. Stuff we do not get here. While I am ranting, I will just say that Ambien is nothing but poison. Much abused and very addictive. In 2007, a doctor gave me some and I wound up doing something which is common and is even listed in the Adverse Reactions. I 'drove while asleep'. Oh joy! I also drove right into the rear of a stopped truck, totaled my car and got a nice DWI charge. Was taken to jail, spent thousands, lost my license for one year and sent to ASAP. It will take years to get this well behind me. The funny thing is, I saw it all happen as if I were having an 'out-of-body' experience. 'Just say no', as Nancy would say. The 100-year test is a pretty high bar to hurdle. I'm not sure how much music from 1909 is heard today. And when you throw in changes in technology, it gets even more complicated. You could argue that Beethoven was played in 1909, and will be played in 2109. But that's almost a different world, musically speaking. 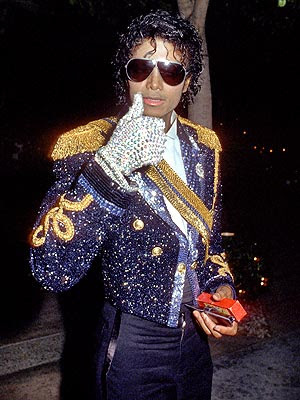 Pop music (as in "King of Pop") is more designed for the moment, and there's no denying the value in that. Larry, thanks for sharing that Ambien story! I believe those stories now that they are corroborated by someone I know. How frightening that must have been for you. And how unfair! Thank God you weren't killed. Budd, I agree with you on pop music being "for the moment." But sometimes it is for longer than that! "Human Nature" was on my brain for three days!